Rayovac Size 312 Hearing Aid Batteries 96 count. Free Shipping! 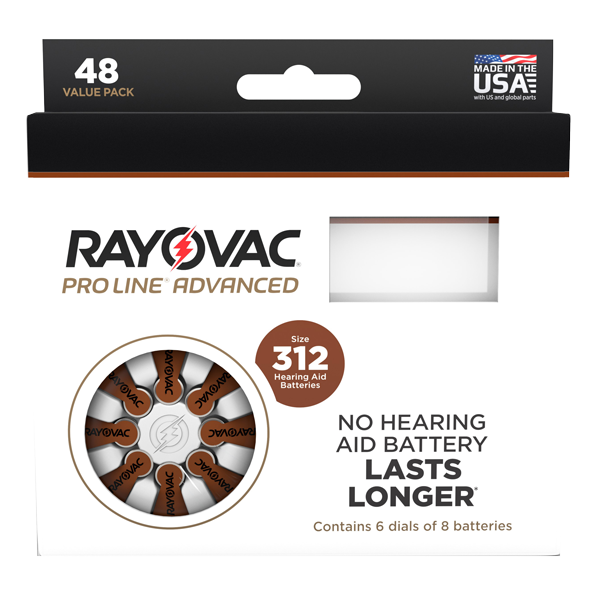 Rayovac Size 312 Hearing Aid Batteries 96 count are 1.45 Volts and Mercury Free. This is Rayovac longest lasting, most dependable hearing aid battery.